The deal had, according to earlier reports, been blocked by Armenia. Azerbaijan has reached a deal to buy missiles from Belarus, a Russian newspaper has reported. The deal was reported earlier this year to have been blocked by Armenia, which is angry about its ostensible military ally increasingly cozying up to its enemy. Azerbaijan has been looking at the Polonez, along with other alternatives, as an answer to Armenia's 2016 acquisition of Russian Iskander missiles. The Iskanders caused alarm in Baku, as it appeared to tip the military balance toward the Armenians. The Polonez deal is a “somewhat delayed answer to the Iskanders,” a “military-diplomatic” source told Kommersant. “The delivery of weapons [Polonez] capable of striking urban and military infrastructure, airports, road and river networks, and personnel, will be received negatively in Yerevan, but the same Iskanders will act as a deterrent,” Kommersant wrote, citing that source. “If the contract is completed – and I think that the Belarusian president will give his approval – then the delivery will to a certain degree create a new reality, from the point of view of Armenia seeking possible measures for maintaining the military and strategic balance,” said Igor Korotchenko, a well-connected Russian military analyst, in an interview with Sputnik Armenia. Azerbaijan has yet to confirm the deal, but a number of Azerbaijani media reported the news, citing Kommersant. 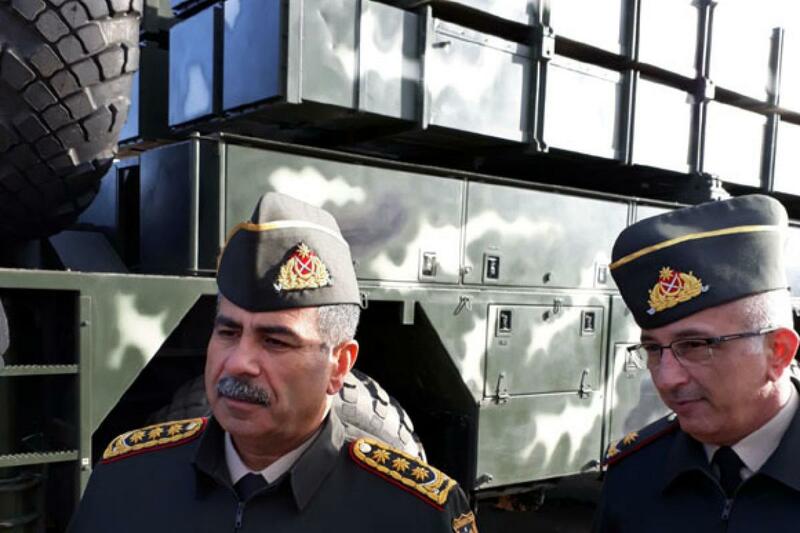 Last year, Azerbaijan reported the purchase as a more or less done deal, and when Defense Minister Zakir Hasanov visited Minsk an official photograph was taken of him next to a Polonez system. But this year, sources both in Minsk and Yerevan reported that Armenia had managed to block that deal. Armenia and Belarus are both members of the Collective Security Treaty Organization, a Russia-led military alliance, and the dispute mirrors one that Armenia has with Russia, which also has been selling weapons to Azerbaijan while also acting as Armenia's ally. It's not clear whether something changed Minsk's mind, or whether those earlier reports were premature. This isn't the first conflict between Armenia and Belarus over their shaky alliance. Last year, when Belarus extradited to Azerbaijan a Russian-Israeli travel blogger who had visited Nagorno-Karabakh, several lawmakers from Armenia's ruling party called on the CSTO to kick Belarus out. According to Kommersant's sources, the Polonez deal is in the “final stages” of completion, so there is still room for further drama. But even if this deal doesn't go through, Belarus increasingly is looking at Azerbaijan as a prime market for its weapons exports, meaning that tension with Armenia seems likely to continue.